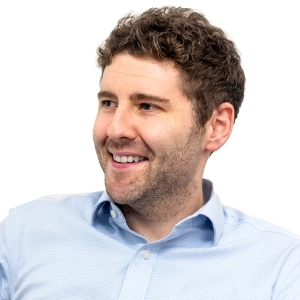 Matthew is responsible for the progression and delivery of fit out projects nationally. By managing time and financial constraints well, Matthew is proud to deliver above and beyond what our clients request and need. His mantra has always been to challenge what we know and do it better, meaning he maintains an ethos of added value which Ben Johnson offers at its core. After achieving an Engineering degree, Matthew joined one of the North’s largest shop fitting Principle Contractors whilst carrying out further studies in construction. After working as a site manager for a number of years, Matthew moved into contracts management delivering multi million pound projects nationally for global high street brands. Matthew is a keen cyclist, and recently ventured into the world of squash. He is a dan of a long walk at the coast or country with his partner and their Yorkiepoo Eric.